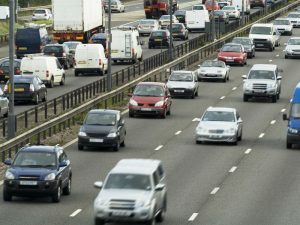 Highways England is reminding drivers to only use the hard shoulder in the event of an emergency as it reveals the reasons people give for illegally stopping on motorways. Although CCTV shows around 100 people are killed or seriously injured on hard shoulders each year (see footage here of a narrow escape when an out-of-control car skidded across the motorway), some people are still taking risks and using the hard shoulder for non-emergencies. This includes the parents who put the hard shoulder to action as a ‘naughty step’ on the side of the M4 near Bristol. Other excuses for drivers illegally stopping included a family cooking a meal and someone getting out of a taxi to spend a penny.